Sony’s financial results for the last 12 months are in and TechRadar's had a look at what the company has got up to in the last year. And we must admit that it’s had a pretty good run of things. 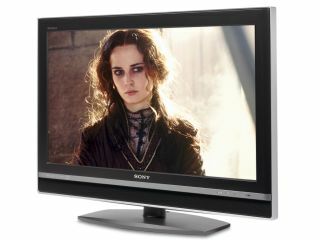 Sony saw an increase in sales in its electronics range thanks largely to Bravia LCD TVs. An 8.9 per cent increase was shown in the sales of Bravia LCD TVs, VAIO PCs and CyberShot digital cameras, equating to 6,613.80 billion Yen (£32.3 billion). A slight decrease was seen in the sale of LCD rear projection TVs. Operating income for the year was more than double FY06 for electronics, up from 160.5 billion Yen (£0.8 billion) in 2006 to 356 billion Yen (£1.7 billion) in 2007. However, mobile phones were among the worst performers in Sony’s electronics portfolio, the only decreasing factor in Japan and Europe. Sony BMG, the music strand of Sony, saw a small decrease in sales (down four per cent) but a massive increase in income before taxes, up a whopping 90 per cent to $257 million (£132 million). The company cites a $67 million restructuring process and lower marketing costs as a reason for the increase. Girl power was the order of the day when it comes to Sony BMG’s best-selling albums of the year. Music from Alicia Keys, Leona Lewis and Avril Lavigne all helped to bring in the cash. Film-wise the company saw an 11 per cent drop in sales, down from 966 billion Yen (£4.2 billion) FY06 to 858 billion Yen (£4.2 billion) FY07. The company has cited a decrease in films being released in the year as a reason for the drop. As with the Electronics sector, Sony did see a big increase in operating income, this time of 26.5 per cent. Although the PS2 is still outselling the PS3, sales of the console have dropped 7 per cent, while both the PSP and the PS3 have seen increases of 46 per cent - something the company is looking to increase next year - and 156 per cent accordingly. PS3 software sales have increased a massive 335 per cent. And while there’s been a 26 per cent increase of sales – from 1,016 billion Yen (£4.9 billion) to 1,284 billion Yen (6.3 billion) the company is still operating a loss of around £0.6 billion in its gaming sector.